Šenk’s homestead is considered the only homestead in the area where original buildings and architectural style have been preserved. It is located in the vicinity of St. Andrew’s church in the hamlet of Ravno, next to the lake Planšarsko jezero. 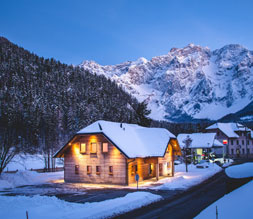 The farm lies in a beautiful environment of the glacier valley with direct views of the mountains. There is a campsite for individual and group camping and space for picnics at the farm. Part of it is also renovated rental old shepherds’ cottage on the mountain plateau Jenkova planina. For the horse lovers guided horseback riding tours are available, as well as the tour of 500 years old farm. 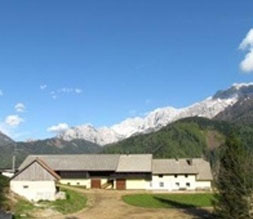 The tourist farm Ancel is located in an amazingly tranquil spot just under the walls of the Kamnik-Savinja Alps, few kilometers away from the main road. The farm offers five double rooms with marvelous views of the mountains, and various selection of organically grown and homemade food. Because of the absence of busier roads and the possibility to spend time in nature and observe many of the farm animals, Ancel is a great choice for families with children. Organic farm Makek is located 960m above the sea level and it is just the right place for holidays. 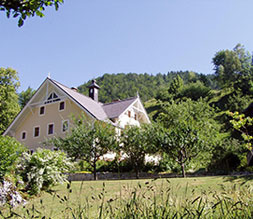 Romantic and unique location of the farm, right on the doorstep of Kamnik-Savinja Alps, is just the perfect place for those seeking peace and quietness. The farm offers you a great spot to rest your body and mind and to enjoy dishes from home-grown ingredients, prepared by the careful hands of the housekeeper. Visit us for a holiday, lunch or celebration, cheer up your dearest and gather new energy in our peaceful environment of unspoiled nature and preserved tradition. Please contact us in advance. 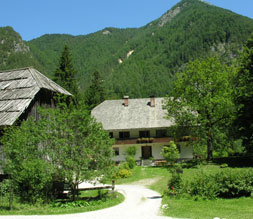 The tourist Farm Olipje is situated in the peaceful valley in Spodnje Jezersko. Olipje offers six rooms and two apartments, as well as an outdoor pool for refreshment. 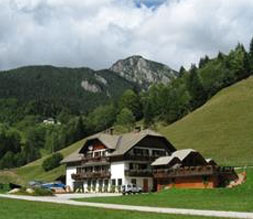 It is a great starting point for several hikes to nearby hills. In Kočna there are 55 seating places. They offer pizzas and salads, which consist of products and crops grown on their own farms, they also offer cold cuts, štruklji, and homemade cooked sausages. There are 6 rooms (3 double rooms and 3 family rooms with one double bed and 3 single beds). All rooms have a private bathroom and are equipped with TVs.